Adapted from the venerable Silver Palate Cookbook, this is a great spring appetizer to prepare ahead of time, then pop in the oven just before serving. In a small bowl, stir together until blended the fromage blanc, lemon zest, and a couple of grinds of black pepper. 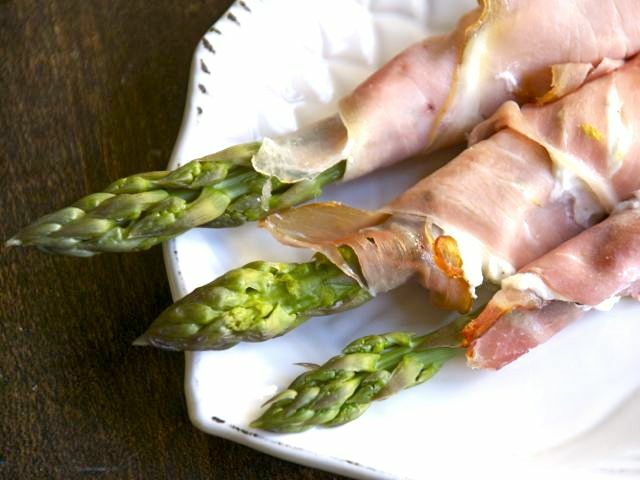 Spread each ham slice with the seasoned cheese (just shy of a teaspoon), then wrap around an asparagus spear. Place asparagus on a baking sheet. When ready to serve, cook in a preheated 350-degree oven until heated through, 4 to 5 minutes. Serve immediately.